Jonno Roberts' Iago warns Roderigo early on, "I follow him to serve my turn upon him.' The him in question is Othello, but service appears to be the last thing on Iago's to-do list. 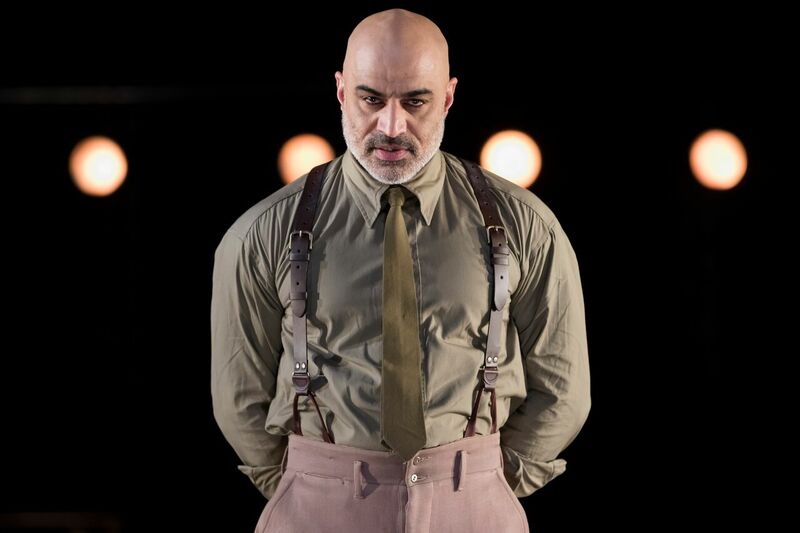 Othello, like many of William Shakespeare's works has a lot more to do with betrayal... something the aforementioned Iago knows (and dispenses) all too well. The Shakespeare Theatre Company production (directed by Ron Daniels) pays proper homage to one of the all-time classics; but ultimately falls a tad short, due to a lack of some much-needed attitude. Roberts is pretty terrific as the play's principal antagonist. He's also noticeably bigger (and more imposing) than Othello... even when he's on the wrong end of a chokehold just before intermission. Size isn't everything, but it certainly doesn't hurt Roberts in this case. Tahir toughens up as the play progresses; but by then, it's (almost) too late. I had a particularly hard time "buying" into his relationship with Desdemona (Ryman Sneed.) Previous Othellos such as Laurence Fishburne and Avery Brooks (over a decade ago, at the Lansburgh) oozed power, but Tahir & Sneed never seem to establish the necessary chemistry to draw you in to the play's inevitable outcome. Without that, what else is there? Daniel's Othello is nice enough to look at, despite a relatively sparse set (a few barrels, chairs, etc.) 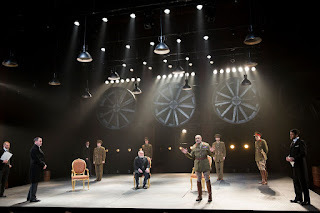 The lighting however (Christopher Akerlind) is top notch, and helps "fill in" a sprawling stage... one that sometimes begs for tighter, more intimate confines. If you haven't seen Othello before (so you're the one?) there's still plenty to like, especially a delicious supporting performance by Merritt Janson as Iago's wife Emilia. 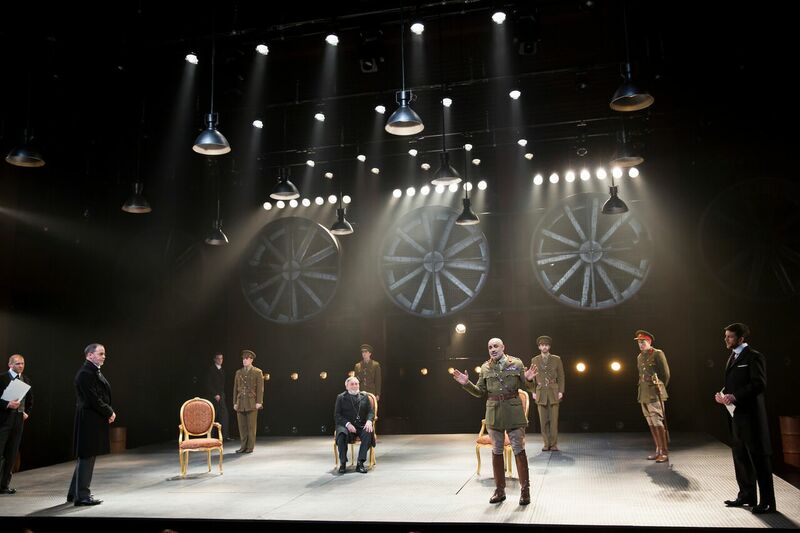 Othello runs about 160 minutes with a 15-minute intermission. See it now (through March 27th) at Sidney Harman Hall. Click here for more information, or to purchase tickets.